This is a big year for DC comic-based TV shows. In the fall, we will see the debut of four new shows (The Flash, Constantine, Gotham, and iZombie) as well as Arrow returning for its third season on The CW. Warner Bros. is at last making a full fledged attempt at building up their audience for their rebuttal, more or less, to the Marvel Cinematic Universe. Other than iZombie which is technically based on the Vertigo comic, these shows are being set up to whet the appetites of hungry fanboys and fangirls for an explosion of DC entertainment that is to come. 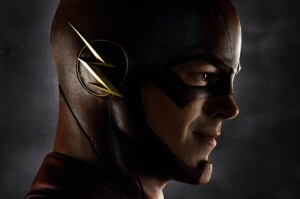 The Flash, starring Grant Gustin as Barry Allen, and his alter-ego, The Flash, will be the first to debut. Made by the same writers and producers of Arrow, this will further expand the ever growing DC world that they are establishing. Season 2 of Arrow, starring Stephen Amell as Oliver Queen/Arrow, focused on the introduction of metahumans and the disorder caused by this upheaval in society. The Flash will be filled with even more metahumans and super-powered beings. What’s next? Magic? Aliens? I had the chance to see the pilot episode for The Flash, and I cannot be more excited for it! Just by the amount of easter eggs in the pilot, I can tell that the writers are fully embracing the existence of the larger DC world, and that they are willing to acknowledge its more fantastical aspects. Arrow had a rough start before it really found its groove later in Season 1 and especially in Season 2. Unlike Arrow, The Flash is hitting the ground running. The level of confidence in the pilot episode leads me to believe this is one show you definitely don’t want to miss. 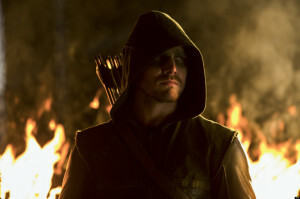 Speaking of Arrow, the explosive ending to Season 2 has left fans eager for more, and the producers aren’t slowing down. Devon Aoki, actress alum from Sin City, has recently been cast in a recurring role as Tatsu Yamashiro aka Katana, a Japanese, katana-wielding (duh) martial arts expert. According to Deadline, Tatsu will be one of Oliver’s mentors in flashback sequences and a critical influence on his journey. I’m particularly excited for this show simply because I am eager to see who they will introduce. I expect this next season will be filled with more of the Suicide Squad, ARGUS, the League of Assassins, and much more! Season 3 premieres on Wednesday, October 8th at 8/7c on The CW. 2005 Keanu Reeves movie, this NBC show will be starring Matt Ryan as the snarky Brit that specializes as a dark magician and occult detective. Seeing how far they are willing to push the envelope with shows like Hannibal, this show has the potential to be the darkest thing on network television. As a big fan of the Justice League Dark comic series, I am looking forward to what the writers will do with this show. 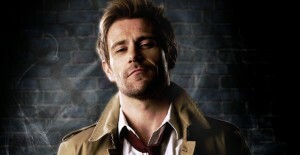 Plus, this will boost the awareness of the character for the general audience and potentially lead to seeing John Constantine on the silver screen. Director Guillermo del Toro has been talking about making a Justice League Dark movie for quite a while, and it would be exciting to see this opposite the traditional Justice League movies. Be sure to catch this on Friday, October 24th at 10/9c on NBC. Finally, Gotham features the early days of Jim Gordon, played by Ben McKenzie, before he becomes commissioner of the police depart. 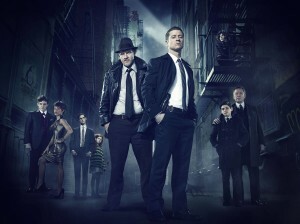 This will essentially be a cop show featuring iconic Batman villains… without Batman. I don’t know what to expect beyond that. It has potential to be an interesting origin story for many great Batman villains, but it has equal chance of just being another cop show with bonus hints of Batman. In anycase, it will still be on my watchlist come Monday, September 22nd at 8/7c on Fox. Definitely a lot to forward to this year in the world of DC comics. More news to come after the San Diego Comic Con International. Feel free to let us know which of these you are most excited to see!